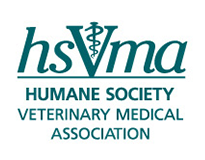 HSVMA is pleased to announce the availability of a $1000 stipend to be awarded to a veterinary student, or an HSVMA student chapter, to work on establishing an Educational Memorial Program at a veterinary college. Several U.S. veterinary schools have established Educational Memorial Programs (EMPs), also known as "Willed Body Programs," "Client Donation Programs" and "Body Donation Programs," as a means of securing cadavers for anatomy courses and surgical training of students. EMPs are modeled after human body donation programs, with deceased animals being donated to the veterinary teaching hospital directly by their owners. The ideal candidate for the stipend would be a student planning to work only part-time on other projects over the summer (however, we will consider applications from highly motivated students who are planning to work full-time), or an HSVMA student chapter that would make this a summer project. The student or chapter who receives the stipend will be expected to submit their proposal to their veterinary school in the fall 2010 semester and work with the school to implement the program. An HSVMA veterinary consultant is available to assist the student or chapter and the school. The stipend is available only to students who are enrolled in veterinary schools in the United States and who have completed their first, second, or third year by Spring 2010, or to an established HSVMA student chapter. The winning applicant will receive half of the stipend ($500) upon selection and the remaining half when the proposal is submitted to the school (a copy must also be sent to HSVMA) and the school commits to adopting a body donation program. The body donation program must be started during the 2010-2011 school year in order to receive the second half of the stipend. If the winning applicant is an HSVMA student chapter, the funding will be sent directly to the chapter's account. Limited funding is also available to help purchase equipment for such programs, if needed. II. Individual applicants: Submit your Curriculum Vitae or resume with your mailed application or as an attachment to your email. HSVMA student chapters should submit a list of the student chapter members who will be working on this project.